Ummm, so, apparently you guys really like cases. What do you say we give away a bunch of the cases we have lying around the Droid Life offices to those that are in need of one? I just counted out a box full and I’m coming up with at least 80 that you need to take off my hands. Seriously, you can see them all in the image above. 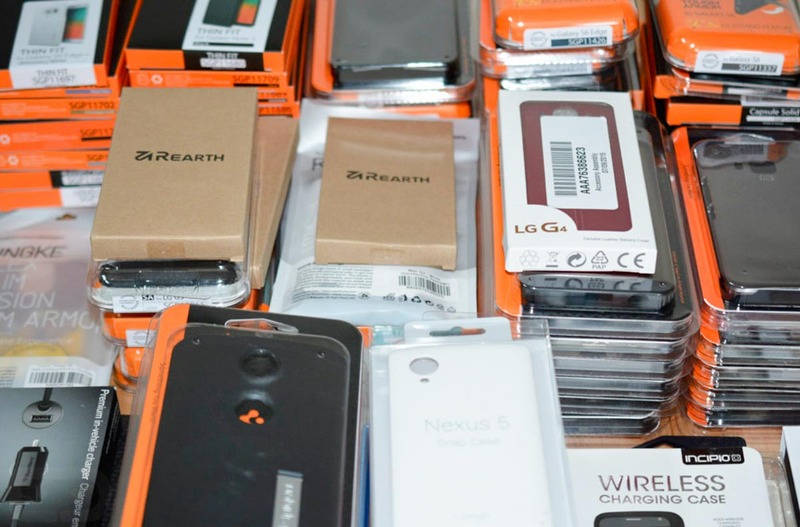 Right now, I have a pile of cases lying in my office for phones like the Galaxy S6 and Edge (+ too), Note 5 and 4, LG G3 and G4, Nexus 6 and 5, and HTC One M9. I even have a couple of random cases, like an Incipio battery pack case for the original Moto X, an Alto leather case for the iPhone 6, and car charger/shell combo fo the Blackberry Priv. The cases you’ll find in this giveaway are from your favorite case brands too, like Spigen and Ringke, but you’ll find some official Nexus cases as well. Some have been briefly reviewed or fondled for a few minutes, but most are brand new and have never been out of the box. I hope if you win one and it has been touched by a finger or two, you won’t mind. After all, it’s a free case. So what do you say? Who wants a free case? This is how to enter to win a free case. In order to get one, we are going to try and keep this dead simple. Below, you’ll find a link to a Google Form (survey) that you will need to fill out. The survey will ask which phone you own (so we can get you the correct case) and what your shipping info is. It will also require you to login with a Google account. You can only submit a response once that way, so make sure you submit one for the correct phone. Because we have so many cases to giveaway, this is the most efficient way for us to do this. If you don’t feel comfortable filling out this private survey whose results only I have access to, I fully understand. If you don’t feel like submitting a response with a Google account, I also understand. But that’s how this is going down, because again, we want this to be simple in the end, so that we can easily choose winners and get them shipped out. Obviously, we have 80 or so cases, but there could be more than 80 entries. Not everyone will win. If you win, you’ll know because you’ll receive a case in the mail. If you receive nothing, then you didn’t win. We’ll do our best to mail all cases out within the next week. Once the survey and giveaway are over with (meaning we sent all cases out), I’m deleting the survey responses. I have no need for your addresses other than to giveaway some cases that are taking up space in my office. All good? Click the link below and fill out the simple survey in order to enter for a chance to win. EDIT: This is a US only giveaway. Sorry, forgot to say that initially. UPDATE: SURVEY CLOSED. We had some 2,500 entries in less than 24 hours. Thanks all! If you win, you’ll receive a case soon!